We receive generous contributions from a range of donors – including individuals, governments and institutions. 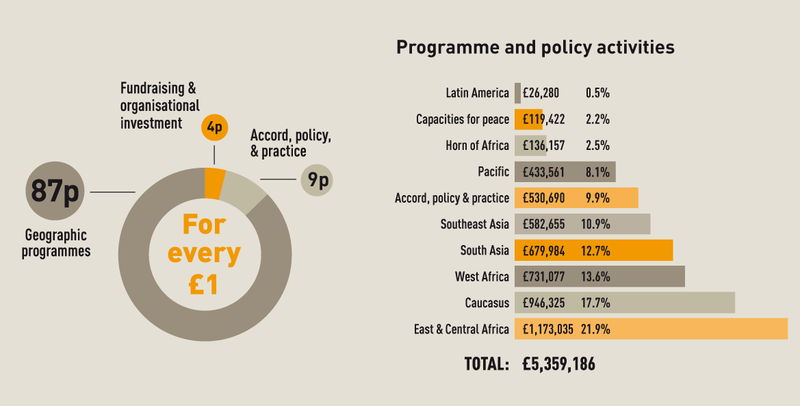 These funds enable us to strengthen and increase the support we give to people affected by conflict. Much of the funding we receive goes to support our local partners who are working to end and prevent violence in their communities. We gratefully thank all our donors, past and present, for their generous and valued support. We are always looking for new supporters interested in our work. Please email us for more information about how to support our work. If you'd like to make a personal donation, please donate online now. We trust Conciliation Resources because thet were with us at the beginning... when we most needed their support. Donate to Conciliation Resources and you will help us gain peace and resolution in some of the world's most long standing conflicts.